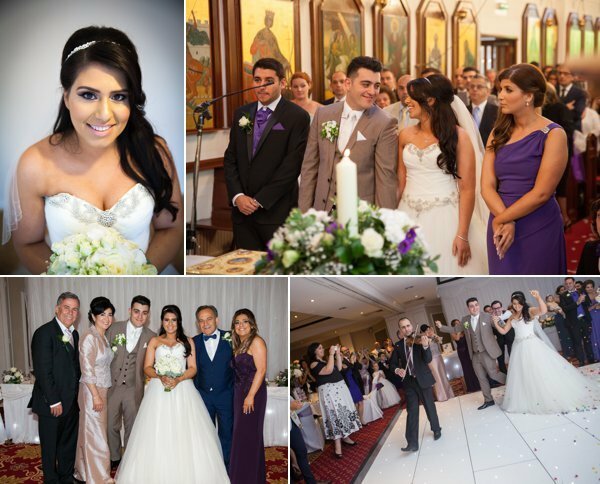 Dan and Angelique married in a beautiful traditional Greek wedding at Church of the Holy Trinity and St. Lukes in Erdington followed by their wedding reception at the stunning Alrewas Hayes We love this venue and all the pockets of photographic beauty it offer! In the morning, we arrived at Angelique’s family home where her stunning Bridesmaids were getting ready. As Angelique was at Black Orchid Salon in Shfinal getting her hair fixed and makeup done by the talented Lily Moroney, we had the chance to capture her beautiful Watters Brides wedding dress from London Bride Couture. The bridesmaids wore dazzling rose gold sequin maxi dresses, big give away to the colour scheme. We took the girls into the garden and captured them all dolled up and ready to be their Brides girl-squad. Once Angelique arrived and put her dress on, the traditional Greek blessings began at home before our lovely bride set off to become a married woman. The blessings were carried out while the wonderful band Nostalgia played traditional greek music and songs. The traditional Greek wedding ceremony was beautifully carried out. Dan and Angelique exchanged vows, wedding bands and more importantly the Stefana. These are pretty delicate crown like headbands connected with a piece of ribbon, which symbolises that they have become royalty in the house of God. After this lovely wedding ceremony, the guests waited outside the church for Dan and Angelique and they were met by an absolute explosion of confetti. We’ve seen confetti before, but nothing like this! We LOVED IT! 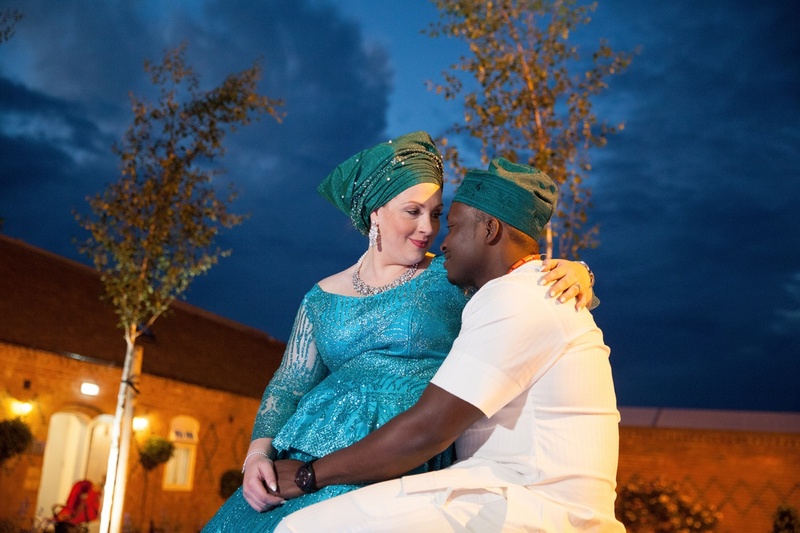 The couple later arrived at Alrewas Hayes where guests were mingling on the venue grounds, while swigging champagne and eating canopies and sweets from the sweet stand. Violinist Janine Heath entertained guests while the couple had formal photographs taken with guests. Our team managed to capture the beautiful reception decor while guests and the couple had their photographs. Their stunning cake matched the theme of the wedding and was created by Elite Cakes in Solihull. We got to try some at the end of the night! It was as delicious as it looked! Guests were seated for their wedding breakfast before speeches began. Speeches were both funny and emotional, such a great capture. The couple cut their lovely tall wedding cake before taking to the floor for their first dance and what a beautiful first dance it was. They choreographed the entire dance and it looked magical, with twirls and lifts just like from a movie. we loved every moment of it! The dance floor finally opened and the party began. Nostalgia, the Greek wedding band, entertained the guests all night with traditional greek songs as well as a mix of english songs here and there. 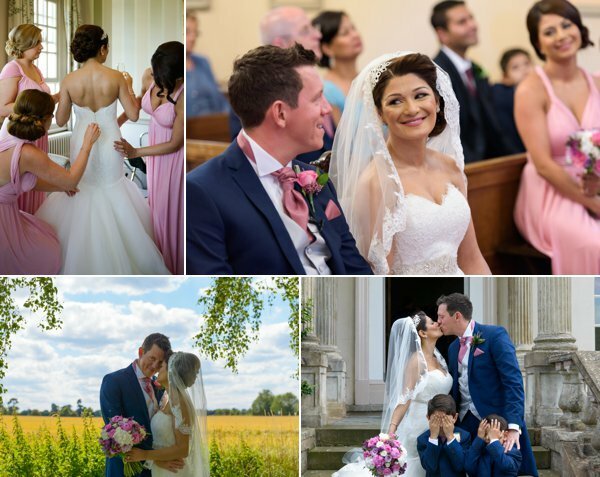 This wedding was truly one to remember and we are so thankful to our lovely Bride and Groom Angelique and Dan, for choosing us to capture their stunning wedding celebrations. 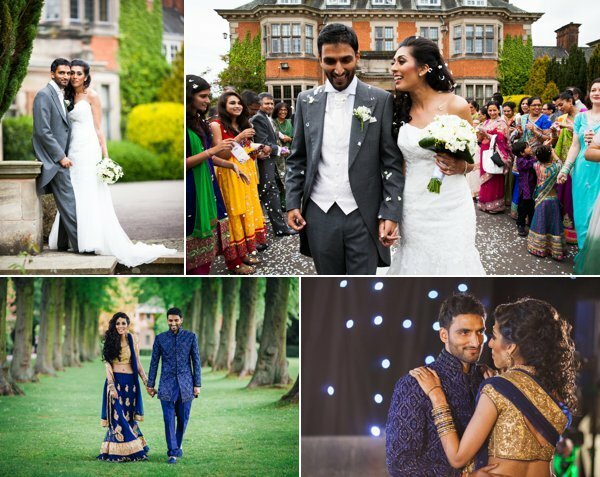 Lee and Kam had a lovely civil ceremony at The Council House in Birmingham followed by an evening reception at the Saffron Centre Kam got ready at her parents home while Lee got ready at the couples lovely home, both in Birmingham. Lee wore a tailored suit with a bespoke tag sewn into his inside pocket, which had his name and the date of his wedding written. We love personal touches! Once Kam arrived, we managed to get a few images and footage of her entering the grand staircase before the ceremony began. A Pianist provided music while Kam and her lovely father made their way down the aisle. Once the wedding ceremony was complete guests headed to the back of the room where there was a display of cakes, snacks, teas and coffees. Guests mingled while the pianist continued to provide background music. We may have also helped ourselves to a cheeky coffee and cake. Lee and Kam had booked a lovely bedroom and lounge suite at the Hyatt Hotel nearby the Council House. This gave us a chance to take some couple portrays of the newlyweds before their closest guests arrived for a meal. We hung around to capture some of the guests mingling before we left Kam, Lee and their guests to it. As the reception party was in the evening, we had a chance to have a lengthy break and recharge ourselves as well as our batteries before we made or way to the Saffron Centre. The team split so that 2 members went to cover the venue decor and 2 members went over to Lee and Kam’s room at the Hyatt to capture images of them in their 2nd outfits. The couple made their entrance into the reception hall, lead by a talented Saxophone player. The headed straight to the cake table on the dance floor to cut their wedding cake. 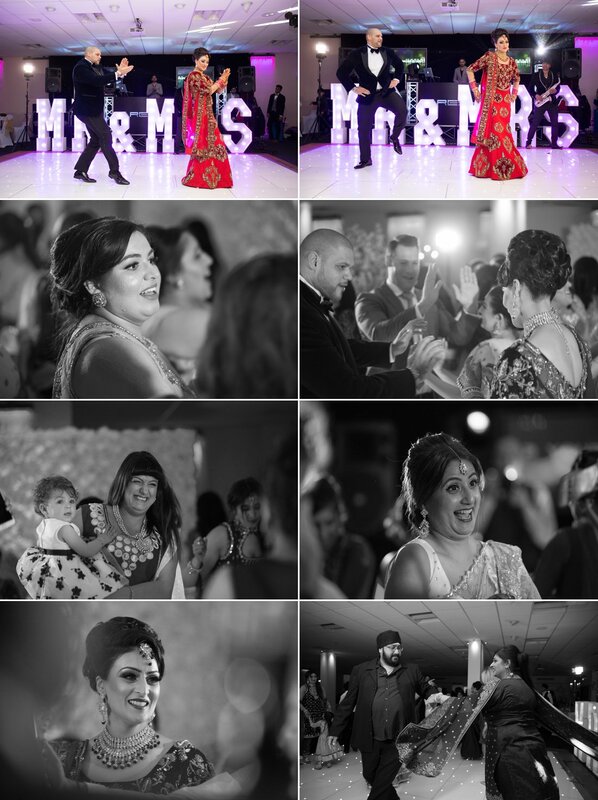 Once they fed each other cake and got some photographs with their loved ones, they surprised all the guests with a choreographed ballroom-bhangra dance fusion. A perfect way to get the dance floor open for all their guests to join them in their celebrations. Congratulations Lee and Kam. We are delighted to have been part of your wedding journey. Thank you for having us.